Yesterday a friend and I explored the Junction. We’d never been despite having lived in Toronto our whole lives (tisk tisk). The sun was out and I was on a mission to find a bakery I’d heard about from a classmate. Not just any bakery, mind you. A Kate-friendly bakery! Bunner’s is a tiny little place with an impressive mission – to bake yummies free from gluten, dairy, eggs, soy AND refined sugars! Sounds impossible, I know. But they’ve done it! My eyes met a big cinnamon bun lathered in white icing and I was a goner. Unfortunately I don’t have a fancy iphone to take spontaneous pics but I can assure you this cinnamon bun was on par with its glutenous competition and it was enjoyed in good company on a bench in the sunshine. And this treat got me thinking…. 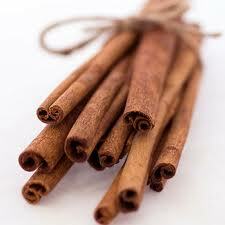 Did you know, apart from being delicious, cinnamon has many health benefits? It helps regulate blood sugar, making it ideal for diabetics. It contains phytonutrients (cinnamaldehyde) that block inflammation and prevent unwanted blood clotting. It is an excellent source of manganese, calcium, iron and fiber! Cinnamon is also a warming spice making it ideal for flu season and, according to Ayurvedic tradition, those Kapha types who need a little invigorating! The best thing about cinnamon is that it tastes amazing and can be incorporated into SO MANY things! Try making your own chai latte by warming milk with cinnamon, nutmeg and cloves or add some cinnamon sticks to your next stew for a more Moroccan flavour. Sprinkle cinnamon onto your oats in the morning or if you don’t eat oats (like me!) try teff with molasses, walnuts and cinnamon – warm, gooey and delish. And of course you can always get baking – cinnamon is your best companion! Mmm…pumpkin muffins, ginger cake, fruit crumbles…. This entry was posted on October 2, 2011 by katelivingfull in Nutritional info.